Non-smoking, located on the first deck with the size of 30m2 and private balcony, feature either a Double bed or two Single beds, large window with sea view. Also dispose of an en-suite bathroom with shower, sink, WC, hair-dryer, bath linen, slippers and toiletries. 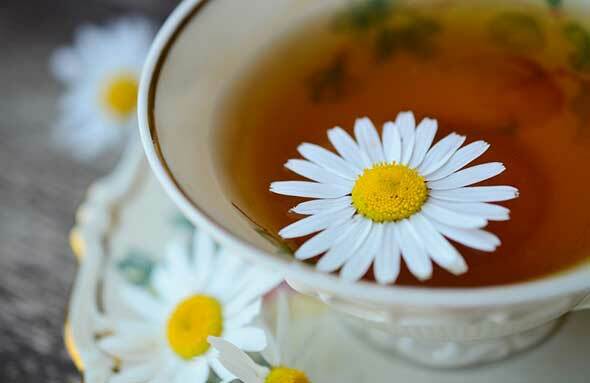 Innovative Michelin star dining comes as standard with menus crafted by world-famous celebrity chef John Burton-Race. 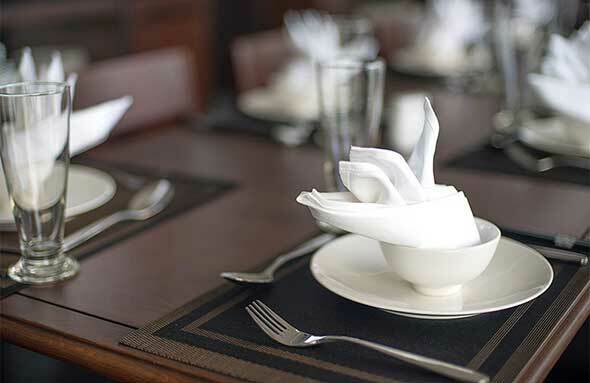 President Cruises serves an imaginative a la carte menu with over 40 dishes, each one individually crafted by John with European and Asian influences. 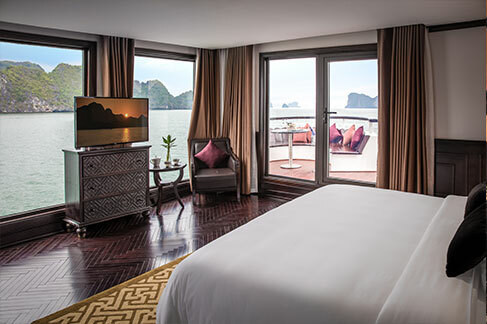 Savor over a good selection of tea and snacks while enjoying the views of the karst limestone formations of Halong Bay on the sundeck. With caves that date back to the oldest empires, The President Cruise gives you an opportunity to explore such places and learn about its history and culture. 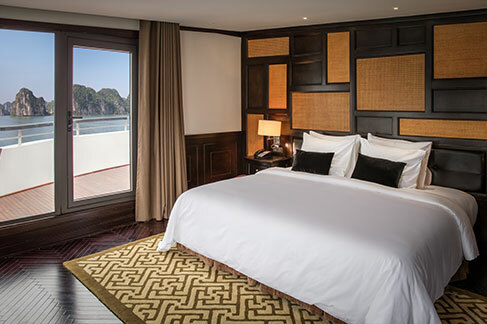 The President Cruise offers interactive cooking classes daily as part of the itineraries so guests could understand more about the culture while enjoying the backdrop of Halong Bay. Share intimate and relaxing moments with your friends and family over a set dinner after a day of exploration of the majestic Halong Bay while dining in style at President's restaurant. 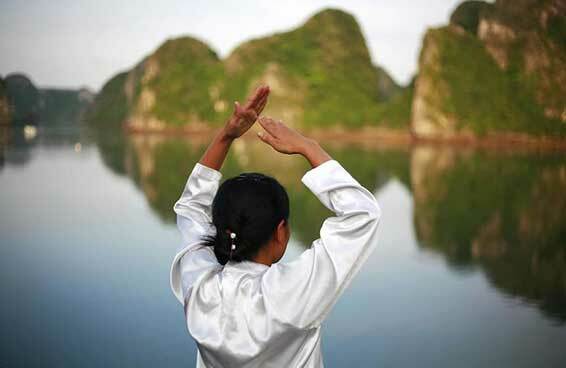 Combined with the marvelous sunrise of Halong Bay, guests can have a chance to learn the martial art while being wrapped around by the magical rock formations and calm waters of Halong Bay. 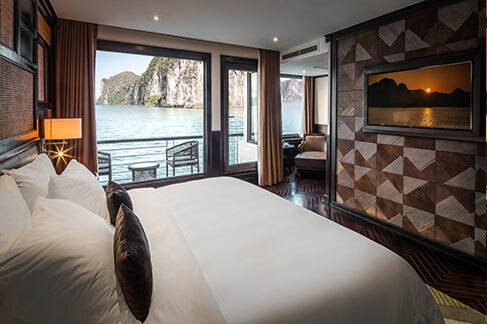 Halong Bay is a UNESCO World Heritage Site and considered as one of the most popular travel destinations in Vietnam visited by millions, both by local and foreign tourists. 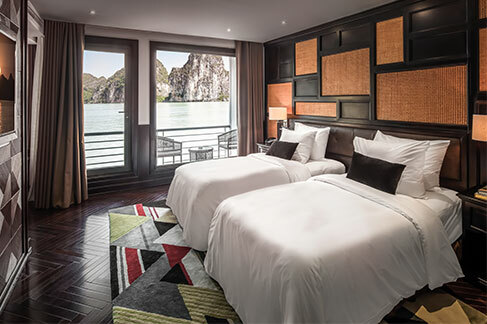 Cua Van is the largest floating village in Halong Bay, with a population of around 750 individuals who earn an income through trade, fishing and tourism. Ti Top Island is one of two places in Halong Bay where you can have a breathtaking view of Halong Bay aside from Sung Sot Cave. 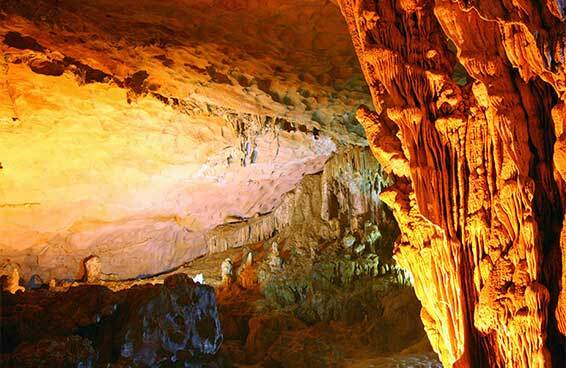 The most famous and most visited cave in Halong Bay, Sung Sot is located on Bo Hon Island about 1km away from Luon Cave.